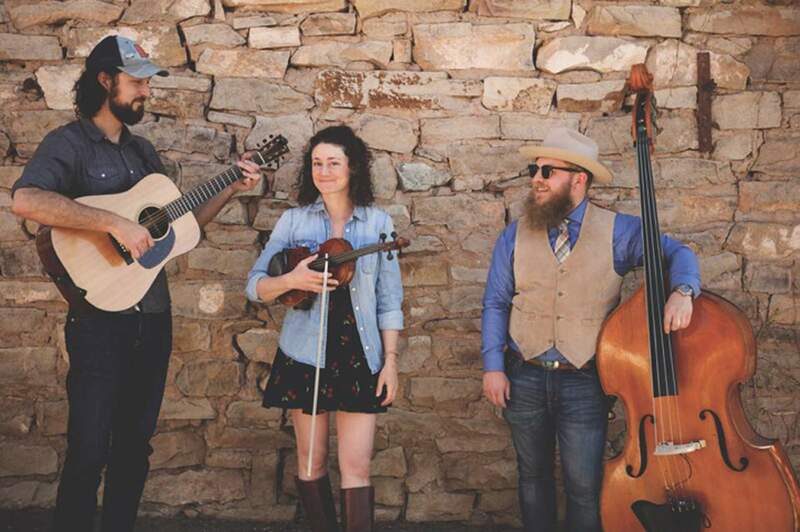 Durango’s StillHouse Junkies, from left, Fred Kosak, Alissa Wolf and Cody Tinnin, have recorded a song, “416,” to help with fire-relief efforts. In tough times, it may be hard to know how to help. In the case of Durango band StillHouse Junkies, they decided to help 416 Fire relief efforts by doing what they do best: writing and recording a song. “416” is available online, and for donations of at least $1, you can download a digital track of the song. All proceeds will go to the Community Emergency Relief Foundation, which helps those in need. The Americana, roots and blues band, which has had its current lineup for about a year, includes Cody Tinnin on bass, Fred Kosak on guitar and mandolin, and Alissa Wolf on fiddle. The song was born of emotions brought on by the 416 Fire, said Kosak, who moved into Falls Creek the day the fire started. Kosak said that along with a way for him to vent his feelings, “416” is also for the community. The community did pull together – for the fire and for the song, Wolf said, adding that as soon as the group had the song ready, she reached out to get a video made and the song recorded. While the fire is still burning, Tinnin said the song is a way to lighten the mood. To download a digital track of “416” by StillHouse Junkies, visit https://bit.ly/2teHWI2. All track sales will benefit the Community Emergency Relief Fund. For more information about StillHouse Junkies, visit https://stillhousejunkies.com/.